As we all know, a well is dug for “water”. I have grown up in a typical village in Goa, where people, including my mother, would draw water from the well for household chores. 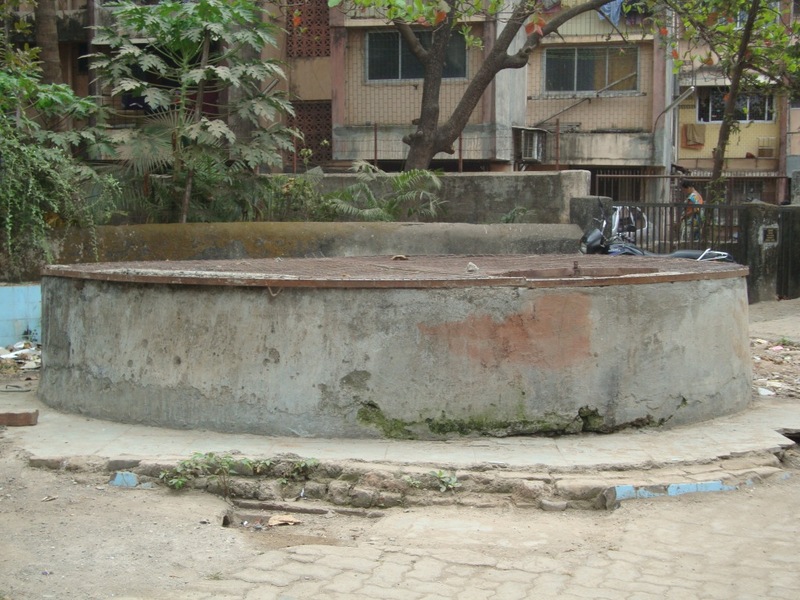 Apparently, there are very few wells in Mumbai and the few that still exist could be termed as multi-purpose wells, and the well beside my house in Mumbai can conveniently fall under this category. First, every morning women come with buckets full of clothes to wash as well as vessels to be done. There are a couple of people who do come and give their bikes a bath too. Fourth, what else could this well open itself to? If you haven’t yet thought about it, it is also the well people look forward to when they think their life needs to end. During the three years I’ve spent in Kalina (Santacruz), I have known of at least five suicide cases. What was the scene before that can certainly be dealt with if your mind has the capacity to think about the same. One well can serve so many people. It can even be a death partner. 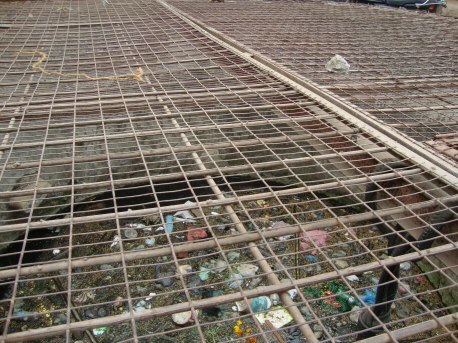 Keeping such issues in mind, recently, I have no idea who took the initiative, but the well was covered with an iron grille. Good start, perhaps! Untill January 31, 2011, I was under the impression that all taxi drivers only know their driving, how to be rude and nod their head to glory every time I asked, “Pedder Road or Sophia College?” But this evening showed me a different taxi driver. A middle aged man from Uttar Pradesh and proudly called himself a bhayaa. Well, it was certainly not me who striked the conversation. Two friends and I were in the cab and I was seated besides the driver. He was a tall, well built-middle aged man with a curled mustache. We were stuck discussing some latest Marathi films and all of a sudden the driver, Mishra, asked me a question. “kya aapko English aathi hai?,” asked Mishra. He looked at me and laughed and said it’s wrong and said it’s not with the “X” but “KSH”. I was taken aback. I argued with him for a couple of minutes but he was too defensive. He also offered to drive us back to Mahalakshmi station to confirm the same. And mind you, all free of charge! This was just the first question to mock the so called educated class. Time and again he did ask me if I was educated and I would say yes every time. He further went on to ask me to spell Chhagan Buhjbal’s name and there I was confused once again. And I say, “C, H, A….” and he looked at me and put up this “what a fool you are” kind of a smile. He continued the spelling and said that it was a double H.
I’ve never felt so humiliated and embarrassed before. The friends I was travelling with were journalists and they dared not opened their mouth. And we made sure our professions were not disclosed at any point. Imagine! Just imagine the shame. Then he went on to convey that he has three children and to my surprise, all his three children were professors in Universities. But then why was he a taxi driver? I couldn’t believe that this man dropped various so called “high profile” jobs because the officials wanted a bribe. And well, just when I was getting engrossed in all his talks, it was time for me to get off. Till now, we conversed in Hindi, but here came a point when I was confused whether to get off at the signal or after the cab takes a turn. He said, “I think you should get off here. Once I turn there may be a cop there and I may find it difficult to halt the taxi.” All this was pure English and my eyes literally popped out of the socket to this “gentleman’s” talks.